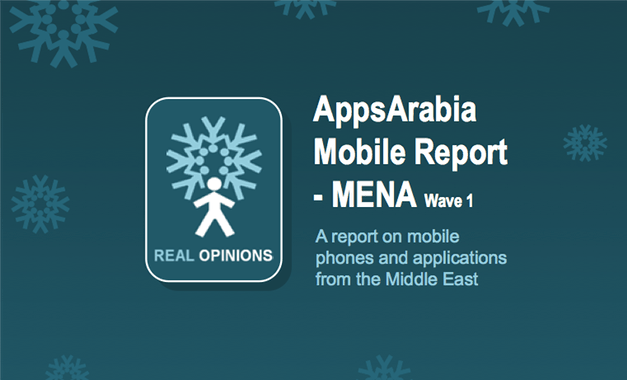 A report released earlier this month by AppsArabia and Real Opinions gives some great insight about the MENA regions smartphone usage. The research which was sponsored by RIM, which mainly aims to increase and support the developers in the region. 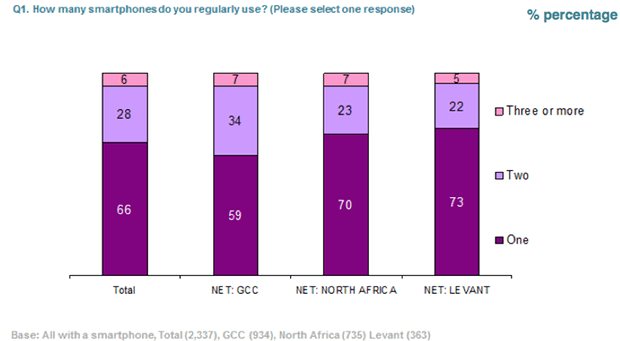 62% of all smartphone users surveyed in the Middle East prefer apps to be in English while 39% of users who understand Arabic prefer apps to be in English. For now Nokia seems to be the clear leader, however strong gains in the region have been made by Apple, Blackberry and other devices with Android operating systems. Which Brand is used mostly for Apps? I haven’t used a Nokia phone for a while now even though I used to consider them the best. 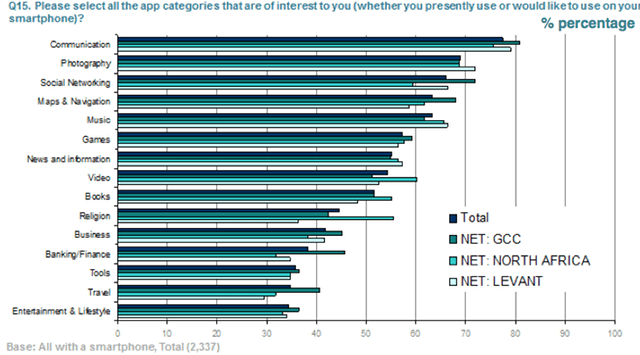 I find this chart somewhat surprising because I never expected that apps on Nokia’s were popular. 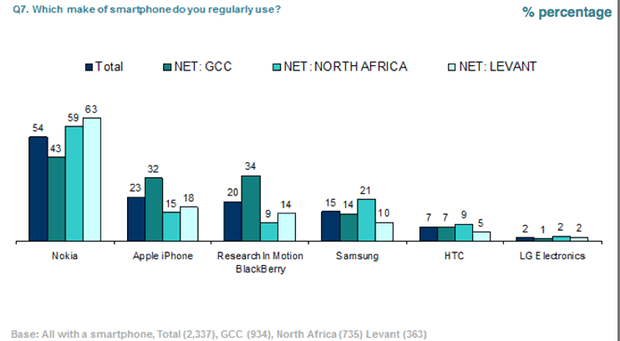 I guess this could be due to the number of people with Nokia smartphones in the region. 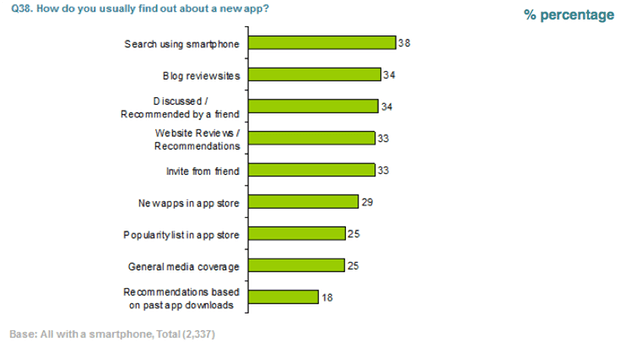 I wonder how many of these apps are paid apps? 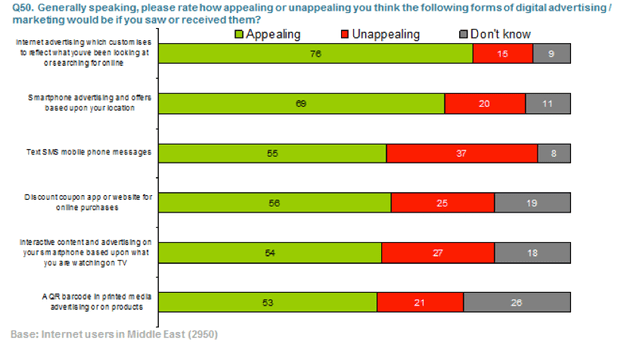 Video, Books and religious applications seem to have more popularity in interest in North Africa than the remaining part of the MENA. And photography and communication applications have a clear overall lead throughout the region. 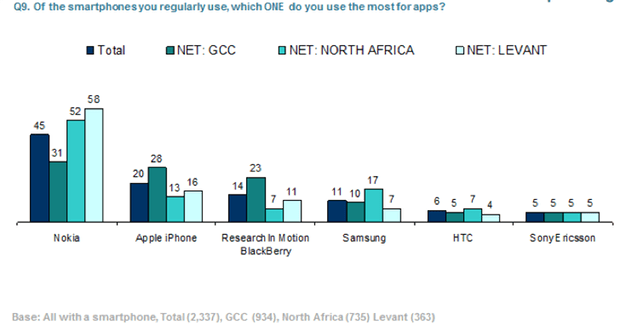 Users in the MENA are generally using communication and social networking apps the most, I added these two charts to point out that even though users might be interested more in photography apps than social networking however that doesn’t necessarily mean that they will use them more. 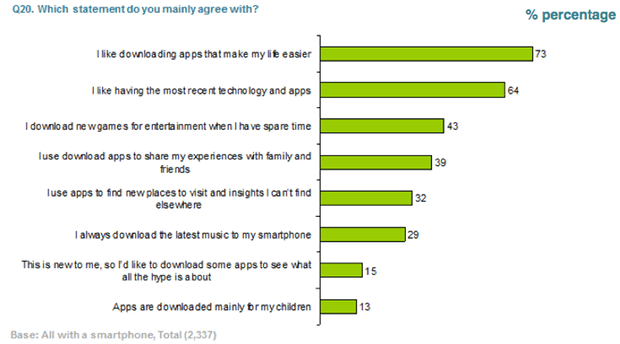 Just goes to show the power of social apps and how people always prefer to be connected with their circles. Its all about convenience, mobile phones in general are very personal devices and users with smartphones are all always connected and on the go therefore it would make sense to check their phone first for anything that will simplify their lives. I know I check my email on my iPhone to avoid starting up my laptop, its just quicker and easier therefore if there are other applications that can help me do things faster and easier I would definitely consider paying money for that app. 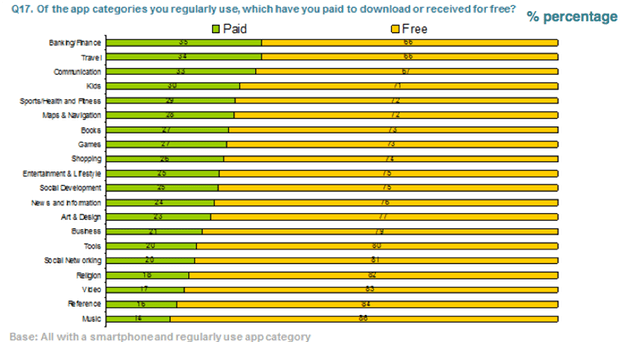 Free apps are clearly preferred over paid apps, however users in the MENA region will pay mostly for Banking/Finance, Travel and communication apps. 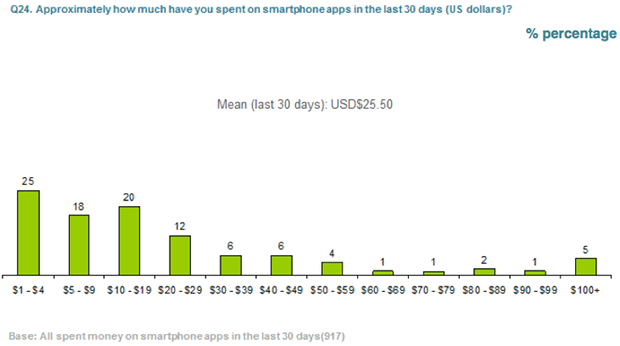 If an app can help users save money or manage their money better I think that it would be money well spent. 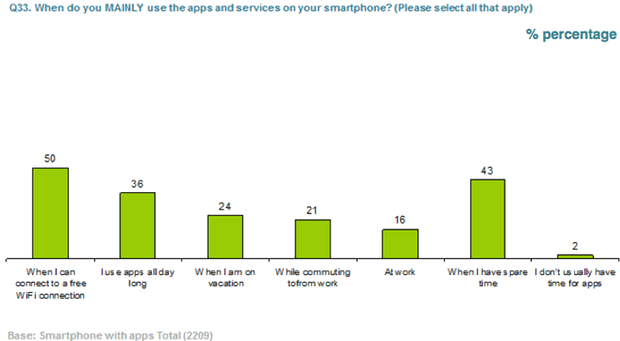 As for travel apps this is a category that can be lucrative for developers, as long as they provide informative content for users. I recently met a startup in Jordan that are looking to develop paid traveling apps for the region we will write more about them in another article however there is a demand for these type of applications. 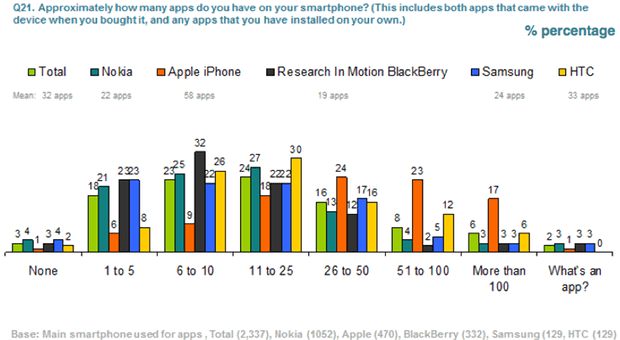 From the chart above you can clearly see iPhone users have the most apps, so if you’re a developer or an entrepreneur with an idea it would be wise to start with the iPhone and then go onto other platforms. Why do users delete apps? 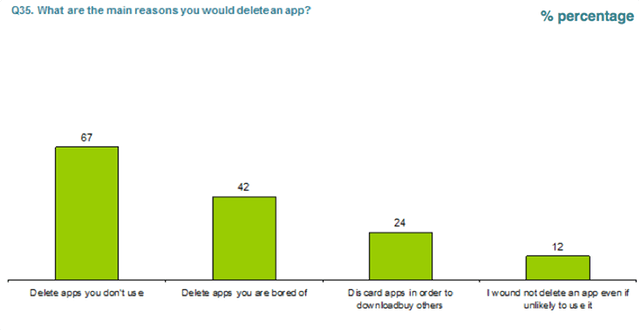 A very interesting fact mentioned in the report is that half of all apps downloaded are deleted while one in five are bought. This should be a red flag for developers, their apps should be useful for their users and they should always update their apps with new features in order to keep their users coming back and avoid getting stagnant. 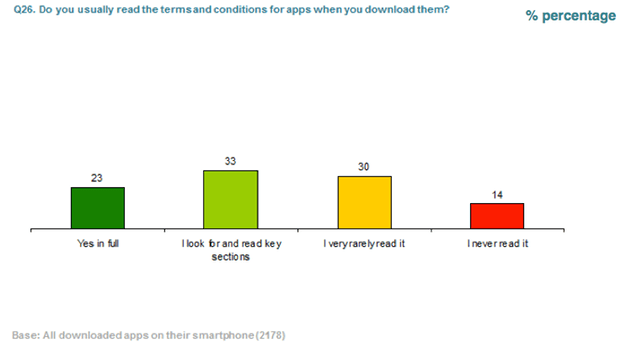 44% of users claim that they don’t read the terms and conditions, that should come as no surprise! However I added this chart from the report because I wanted to point out something very important, users will rarely read content or long passages even if they need help to figure out how to use the app. I’m saying this from personal experience, if you’re counting on users to read more than a couple of lines in order to use an application than start over and make the design friendlier. An app should never have a “how-to use this app” section it should be easy and intuitive to use. We’ve learned this the hard way when asking for feedback from our users, they all had comments about a specific feature even though it was described in the help section. Again it’s all about user experience. 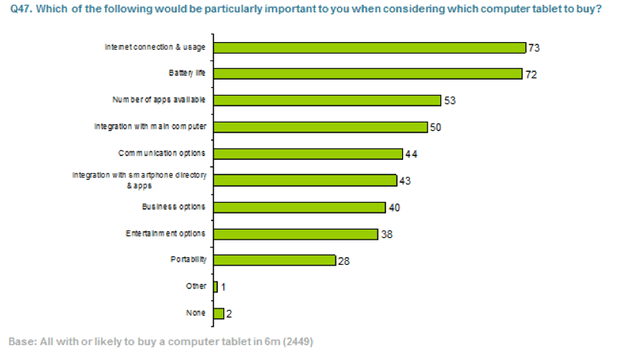 Users mostly prefer to use apps when they have free access to Wifi connections and when they have spare time, so developers should keep in that in mind and develop their apps that don’t require the use of the users data packages. 25% of the users will pay up to USD 5 on applications, so make sure to stay within that range. There is a demand for it! When marketing your app its very important to get it submitted on review blogs and websites to get the word out and more importantly check the review and the feedback to know what you can change and what users would like to have in the app, after all you are developing app for users and not yourself. Localization is important however given the chart above English still has priority, developing apps in Arabic should be thought of however I would recommend launching in English, unless it is specific for the Arabic market. 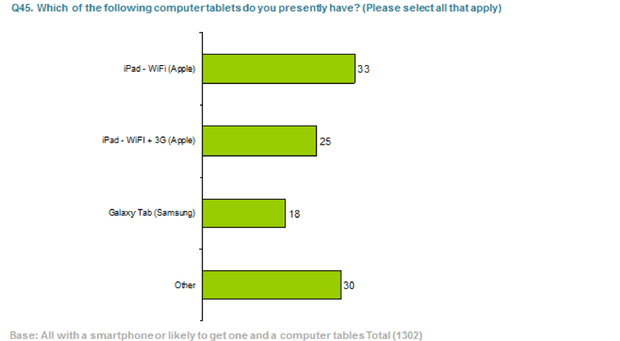 Users in the MENA are interested in tablets, and it seems that this interest is going to increase in the future. 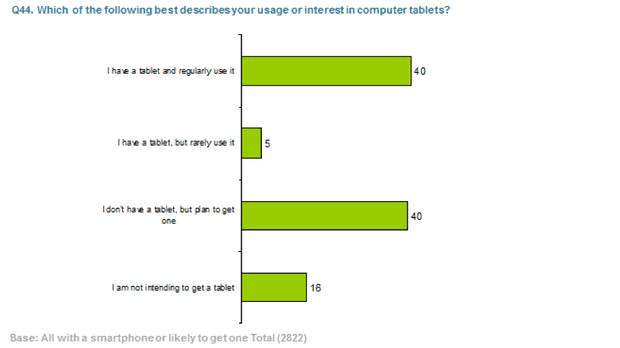 Users that are looking into purchasing tablets are most likely to consider internet connection, battery life and the apps available for download. Therefore apps should really cut down on the use of GPS and location services unless they are needed, because the GPS consumes a lot of power and therefore cutting down on the battery life. 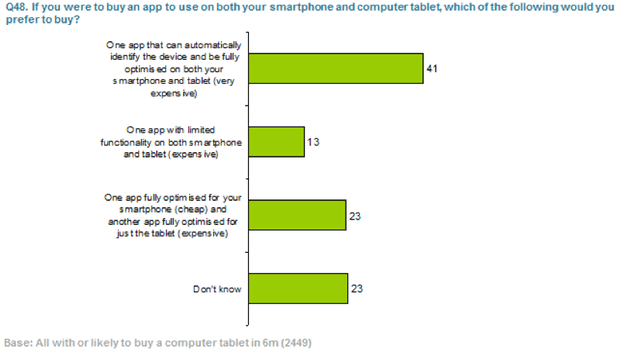 Users would prefer an expensive app that can automatically identify the device and be fully optimized for that device. 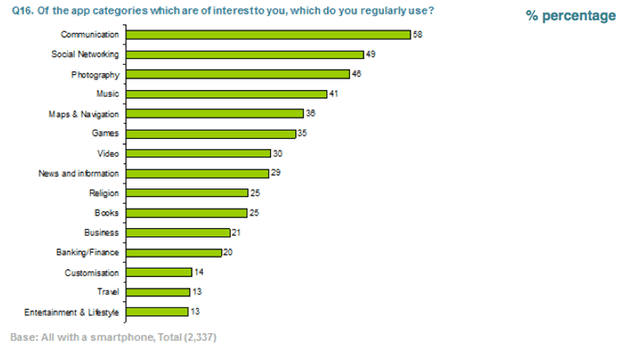 Good news for advertisers and developers, users actually prefer targeted, customized and location based ads the most. If you’re a developer and have any comments from past experiences or would like to know more information, please let us know.